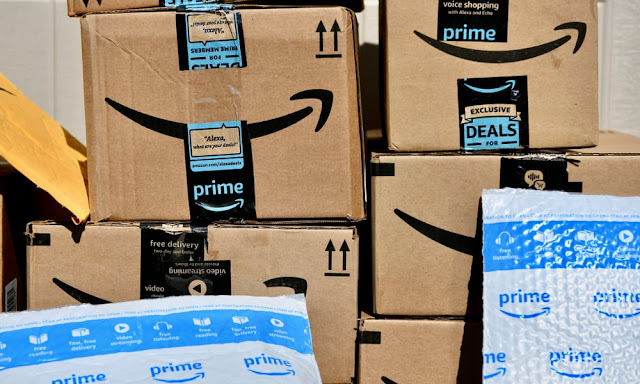 An Indiana couple and an accomplice have been sentenced to nearly six years in prison for scamming Amazon out of about $1.2 million in electronics merchandise. Erin and Leah Finan pleaded guilty last year to running a complex scam that took advantage of Amazon’s fairly lenient return policy. This week, the U.S. Attorney’s Office for the Southern District of Indiana officially announced their sentence. The couple ran the scheme for nearly two years with a third individual, Danijel Glumac — who was also sentenced to 24 months in prison for his involvement in the scam. Basically, the Finans would order electronic items from Amazon. Once they got them, they would report the items as damaged. Once Amazon replaced the items, the Finans were able to fence the perfectly functioning originals to Glumac (who would sell them to another buyer in New York), according to court documents. All in all, the Finans ordered about 2,700 electronics from Amazon — including GoPro cameras, smartwatches, tablets, laptops and gaming consoles. The couple made around $750,000 in the scam, while Glumac netted about $500,000. In fact, Amazon never detected the scam. Instead, the couple was caught by the IRS and the Indiana State Police, Gizmodo reported in October 2017. In addition to the online shopping fraud, the Finans also reportedly bounced checks, failed to pay for rental cars, and sold other high-end goods. The couple and their accomplice are being ordered to pay $1,218,504 in restitution, court documents show. Amazon is famous for its extremely lenient return policy — and Motherboard points out that similar Amazon return scams were actually well-known among hacking or social engineering circles. In a statement, U.S. Attorney Josh Minker used the Finans’ sentencing as an example and gave a grave warning to potential fraudsters. “To those who seek to exploit the convenience of online shopping through fraud, remember this case. You will be caught. You will be prosecuted. And you will go to federal prison for a long time,” he said.